You have the options of selecting a plastic kennel or a wire mesh kennel. Wire kennels will allow you to see your pet more and are easy to clean. Furthermore, there are wire kennels that have the option of being re-sized when needed. Plastic kennels are also a good option, especially when travelling abroad. When browsing through plastic dog kennels for sale, you should keep in mind that they should be of an appropriate size and stable enough. You definitely do not want to buy a kennel that your dog will be cramped in or which will collapse after a couple of months’ use. You should make should that your dog would be comfortable and happy in its kennel instead of wanting to avoid it at all costs. There would be a wide variety of plastic dog kennels for sale with different features and benefits. An important aspect to consider when looking through these different plastic kennels is if there is enough ventilation for your dog. There is absolutely no point buying a kennel which would suffocate your pet. Therefore, making sure your dog has enough while it is in its kennel is a top priority. Once you have purchased the kennel for your dog, allow your dog to get accustomed to it slowly. It would not do any good to force your dog into the kennel. This would create anxiety in your dog and make the kennel seem like a punishment. Once your dog gets used to its kennel, allocate a specific area to keep the kennel and monitor your dog while it’s in the kennel to see if it’s content and relaxed. 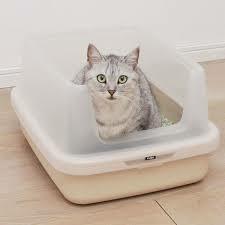 Your pet will appreciate that you have provided it with a safe place to go when it needs it some time to itself.